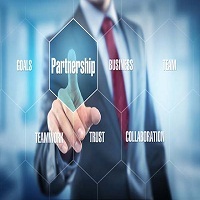 SAFFRON CONSULTANCY SERVICES has established a reputation as a Professional, Ethical firm .We already have our presence in Surat, Bangalore, Mumbai, Kanpur ,Meerut &Rajkot through our network of professional , trained and experienced Associates. We want to expand further to other locations so that our candidates, customers, employers and customers are served better..We have a good revenue model wherein the ASSOCIATE gets to earn consistent , regular and sound income owing to the Activities of Placements,Study Abroad segment, Training and sourcing of Loan segment clients. We invite Professionals who want to become "ENTREPRENEURS" and want to partner with us so that they also be part of this journey .Professionals who want to work in a flexible manner are also welcome to apply for"ASSOCIATES". Please mail your credentials to me on rajeshiyer@saffroncareers.in or Fill in the form below.